That is a quote from a great article on Huffington Post about decluttering. Decluttering your home is so important when putting it on the market. 15 seconds! That’s how long a home for sale has to make a good first impression. More than 90 percent of home buyers search for a home online; making it more important than ever for a home’s listing photos alone to capture buyer interest. How do we do that? Staging! You can read the full article here. She actually lives in 200 Square Feet. 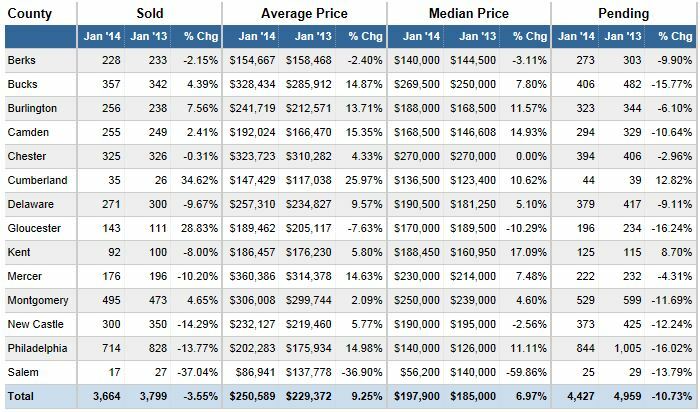 How did the Housing Market perform in January 2014? Winter weather had an enormous impact on the local housing market in January. Personally I had to cancel showings of my listing and showings for buyers many times due to the weather. I even showed a home that had lost electricity last week due to the storm. 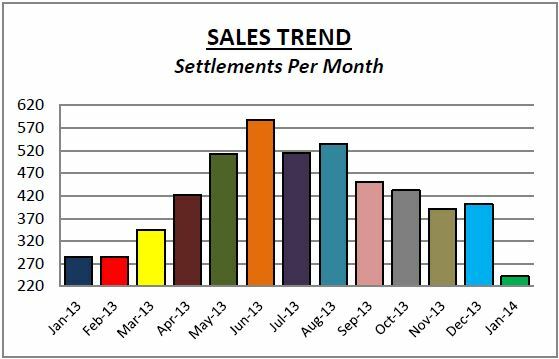 Sales and pending sales are down compared to January 2013. 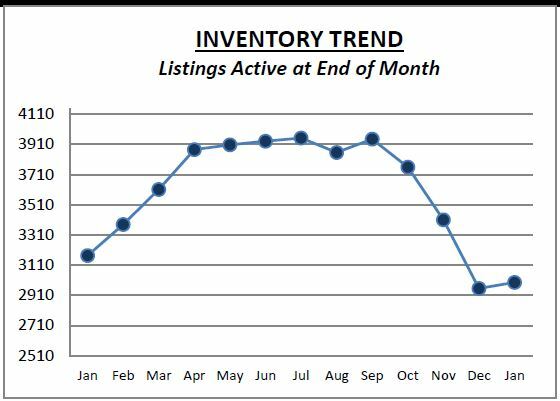 It could be an indication of slower sales but I think we will see pent up demand and there will be a lot of sales in March and April. Here are statistics on single family homes in the area for January 2014. 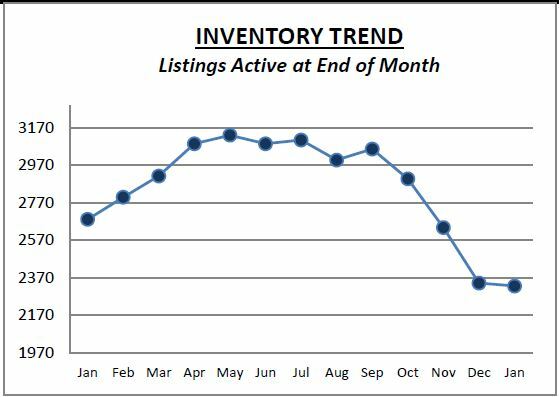 When you compare January 2014 to January 2013 on these charts you’ll find that inventory is down, sales are down and the days that homes sit on the market are down. 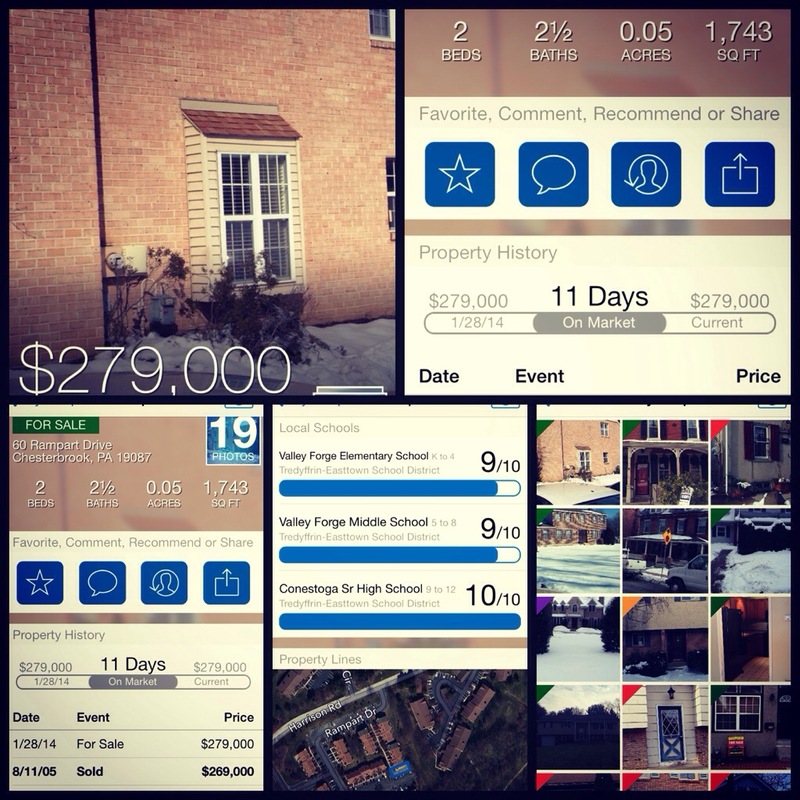 The Real Estate App that I use the most on my iPhone is Homesnap. You take a picture of a property through the app and it instantly provides concise and easy to read information on the property. It gives you everything the listing provides (pictures, bedrooms, bathrooms, description) and it gives you the property history, school districts and property lines. It also shows you similar homes available and recent sales. I do like the Zillow and Trulia Apps but I’ve found that the Homesnap information seems to be the most accurate when I’m not in front of my computer looking through our MLS and property tax records. Here’s an example of a home I showed this week. The upper left is the snap I took. You can see the property history that it sold in 2005 for $269,000 and it’s been on the market for 11 days. Also, it shows the local schools and their ranking according to Smartzip Analytics. You can click on the school to get detailed information on that school district. Nosy? 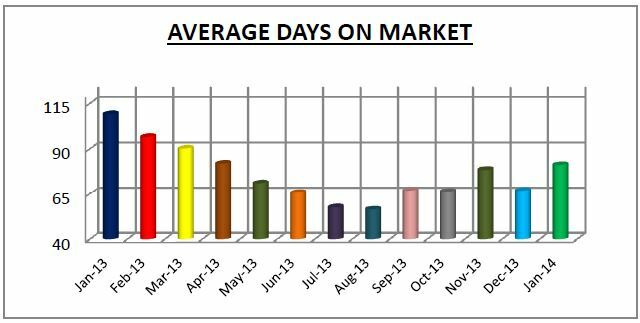 You can snap a picture of a home not on the market and get their statistics. Your snaps are saved and you can go back and see what went under contract and eventually what homes sold for. You can connect with me on the app and see what homes I’ve toured. Under the explore tab you can get a quick look at the homes nearby you or you can search by an address. Why are they such a good deal? They only require 5% down (It used to be 3% but they increased it last November). There is no mortgage insurance. The savings on mortgage insurance for a $300,000 house could be about $300 month. Also, they have special mortgage financing where you can roll up to $35,000 of a renovation loan into your mortgage. The buyer is required to pay the entire transfer tax amount which is 2% in this area (some townships are higher). In my experience HUD homes usually need a lot of work and are better for cash buyers and conventional financing (usually 20% down). You can find more info at their website http://www.hudhomestore.com/Home/Index.aspx. These are foreclosures from the government Department of Housing and Urban Development. They have special buying programs for non profits, teachers, firefighters, law enforcement officers and emergency medical technicians. They even have homes for $1. Crazy. Check out their website. Making an offer on a Hud home is pretty simple. 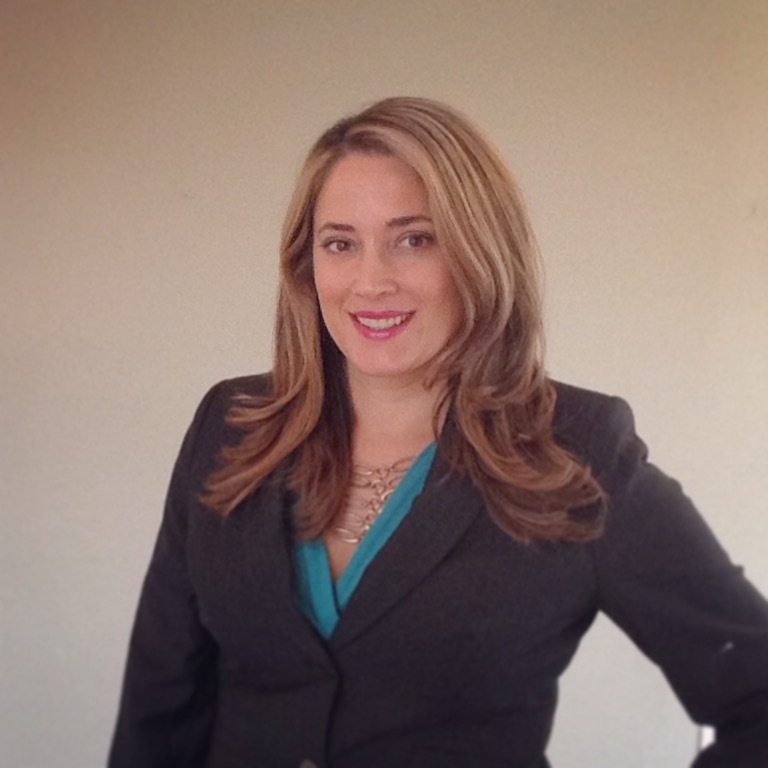 It’s an online bidding system and you need a registered real estate agent to submit the bid. You will need a copy of a photo ID, copy of a social security card and proof of funds if paying by cash or a preapproval if you are getting a loan. If your bid is accepted then we have 2 days to submit all of the paperwork and the earnest money deposit. The buyer is required to pay the entire transfer tax amount. 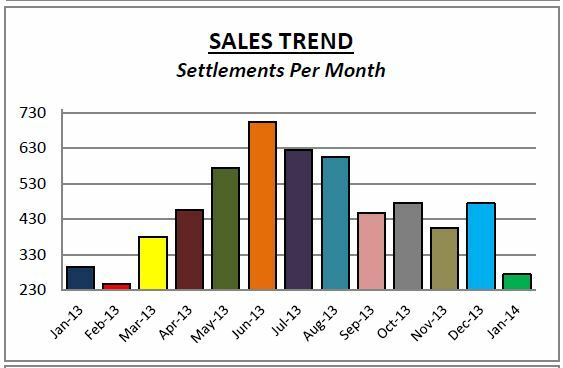 In most real estate transactions in this area it is split between the buyer and seller. Also, seller assist with closing costs are limited to 3% of purchase price. Freddie Mac foreclosures are typically taken care of compared to all the other bank owned properties. They have a commitment to securing the home (squatters can be a problem), removing trash and debris and keeping the property clean. You can find more information at http://www.homesteps.com/. They only offer special financing and deals in certain states. Unfortunately, Pennsylvania is not one of them. I have seen many foreclosures by private banks. They typically put a little more effort into fixing up the homes and remediating mold or moisture issues. I have been the agent on an auction bid for a HUD home. When the foreclosure doesn’t sell through the MLS many times the bank or the government agency will put them on an auction site where you can bid on them. However, many of the auction properties are non financeable and you need to buy them with cash. Foreclosures are great deals but not many hit the market in top rated school districts in this area. So if you are interested it is very important to either have proof of funds ready or to have your financing lined up with a preapproval so you can move quickly on submitting a bid. If you are interested in foreclosures contact me and I can set you up on an automatic search so you get an email as soon as they hit the market.